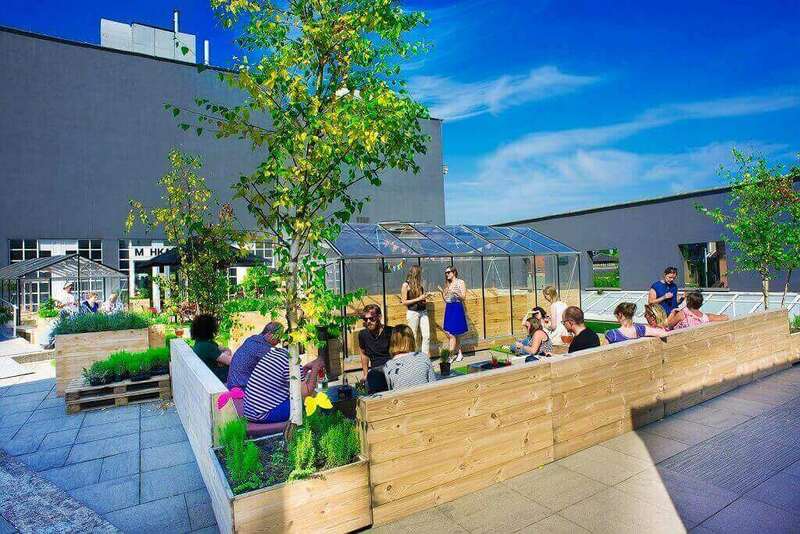 The roof terraces of the M HKA have been transformed into a unique summer bar during the summer months. A sunny bar, extensive terraces with an exceptional view of the river and the city, funky furniture, and a fresh Scheldt breeze bring calm and refreshment during the (hopefully) hot summer days and evenings. We serve fresh cocktails, and the menu colors green with a wide selection of organic dishes, with special attention for local and sustainable suppliers. The terraces are also green thanks to pop-up gardens with herbs that find their way to the kitchen. The link with art is never far away: the fascinating Skyspace installation of 'the sculptor of light', James Turell, is an extra inviting resting point.